Why wasn’t the footage showing a number of United States Navy ships attacking Godzilla that is in the American version of GODZILLA VS. MOTHRA (1964) included in the Japanese version of the film? Teruyoshi Nakano: The footage was shot for American audiences. The American distributor (American International Pictures, Inc.) wanted the version of the movie that was going to be released in the United States to have a longer running time than the Japanese version was going to have. DM: A sequence showing Frankenstein battling a giant octopus was shot for FRANKENSTEIN CONQUERS THE WORLD (1965), but it wasn’t included in the film. Why wasn’t the sequence used? DM: Was the Spiga puppet especially difficult to manipulate since it had so many legs? TN: We made six different Spiga puppets. They were all different sizes. The one that was the largest was the most difficult to manipulate. TN: My recollection is that we made two different Hedorah costumes. One was quite light. The other was very heavy and bulky. 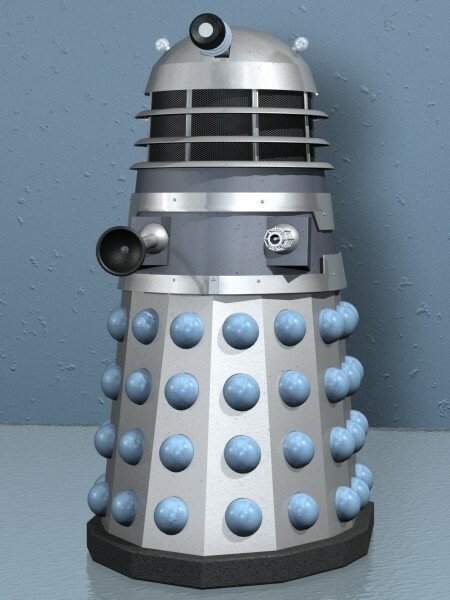 DM: For which scenes was the heavier costume used? TN: It was used when we needed to show Hedorah’s rickety movements. DM: A laser beam is seen coming out of an opening in Gigan’s forehead in some of the stills that were used to publicize GODZILLA VS. GIGAN. However, the cyborg never uses the beam in the film. Why is this? TN: I very much was interested in the sixth sense of human beings at the time. I knew that many statues of Buddha had auras around their heads, and I had read an article about strange rays coming out of the foreheads of human beings. So, I originally intended to have a ray come out of Gigan’s forehead. However, I changed my mind because the ability didn’t seem to fit the cyborg. It fit only human beings. That’s why I didn’t use it. Gigan had a very strong and angular form. It was enough to express the great power of the monster. So, the laser beam wasn’t needed. DM: GODZILLA VS. MEGALON is the earliest Godzilla movie in which Haruo Nakajima does not play Godzilla. Did any problems arise because another person had taken over the role? TN: No. There were no special problems. DM: Did you make the decision to portray Godzilla comically in GODZILLA VS. MEGALON? DM: Who edited the Champion Festival versions of the movies? DM: In the Japanese trailer that was used to promote GODZILLA VS. MECHAGODZILLA (1974), there is an alternate to the sequence in which MechaGodzilla emerges from its disguise as Godzilla. Why was the alternate sequence shot? TN: It most likely consists only of test footage. DM: TERROR OF MECHAGODZILLA (1975) has a more serious tone than the other Godzilla movies that were produced during the 1970s. Why is this? TN: It was decided to portray Godzilla the way he had been in GODZILLA – KING OF THE MONSTERS. DM: Whose idea was it to do so? DM: Do you know why he made that decision? TN: Toho wanted to revise the Godzilla series. 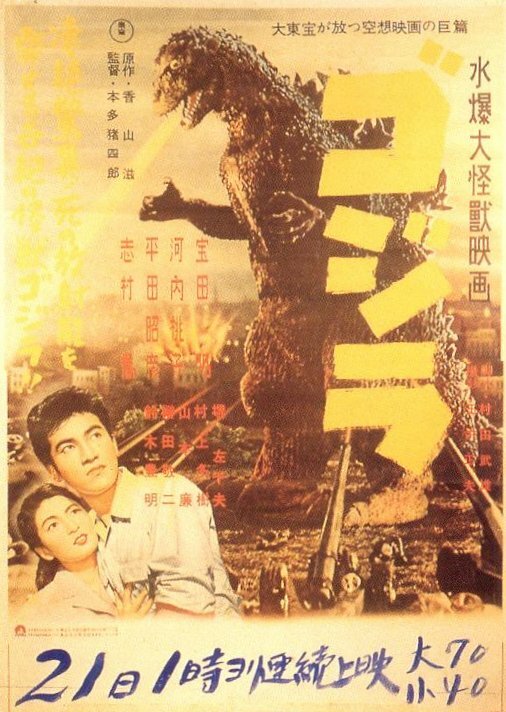 So, Mr. Tanaka decided to portray Godzilla the way he had been in 1954. DM: I’ve heard that Mr. Honda originally wasn’t going to direct TERROR OF MECHAGODZILLA. Is this true? TN: The matter of choosing a director came up only after the script had been completed. I don’t remember who the director originally was going to be. TN: It was very difficult to control. DM: Was it your idea to build it? DM: I know that a television series based on TIDAL WAVE was broadcast in Japan shortly after the film was released. Were you involved in the production of the television series? TN: I wasn’t involved in the production of the series. DM: Was the series produced by Toho? DM: In the book JAPANESE SCIENCE FICTION, FANTASY AND HORROR FILMS, Stuart Galbraith IV suggests that THE LAST DAYS OF PLANET EARTH (1974) is based on THE LAST WAR (1961). Is this true? TN: No. 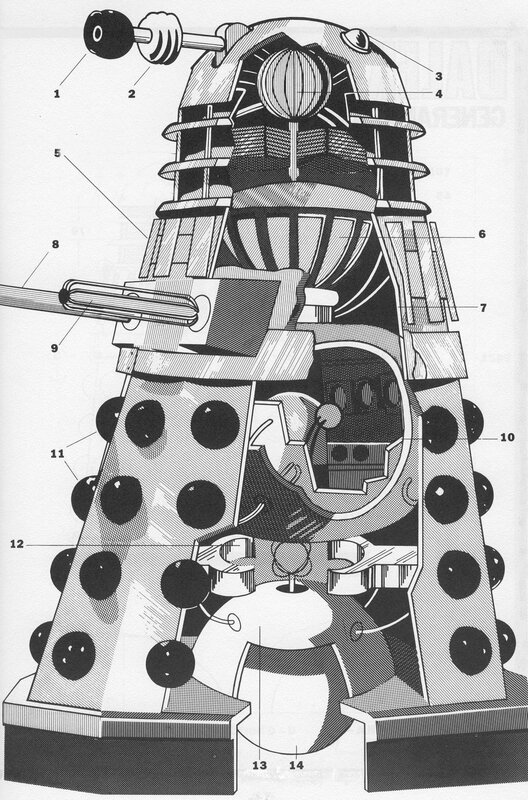 Different models were used to depict the Alpha and the Goten. DM: What was Mr. Tanaka like? TN: He had a lot of ideas. He was very decisive. DM: Would Mr. Tanaka take an active role in production? TN: He had a split personality. He would allow the members of the staff to do their work, but then he would begin making suggestions. DM: What was your professional relationship with Mr. Fukuda like? 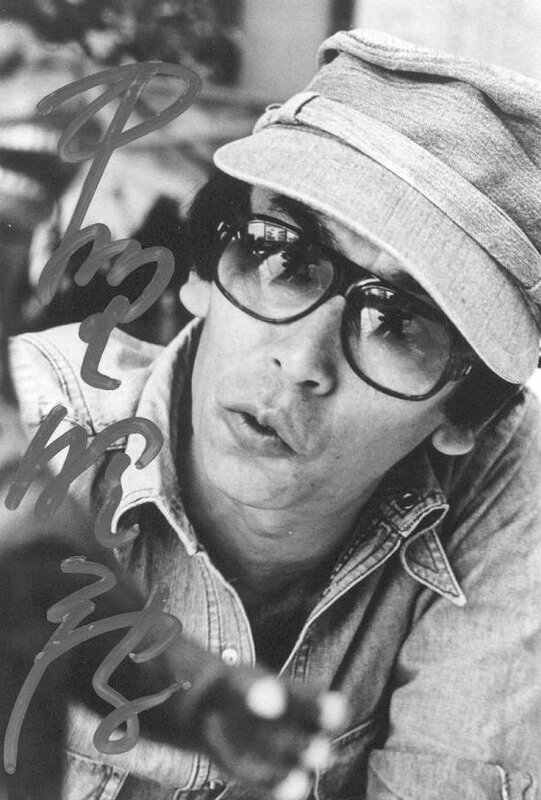 TN: Mr. Fukuda and I worked on a large number of movies together. So, there was a very special type of relationship between us. It’s very difficult to describe. It was as if we were related to each other. There was a very strong mutual understanding between us. DM: Would you discuss ideas with each other during planning? TN: There were three different types of approaches. We both had to read the scripts very carefully, but sometimes Mr. Fukuda would draw the storyboards, sometimes I would draw them, and sometimes we both would draw them. However, I always made the final decisions regarding the special effects. DM: Did Mr. Fukuda allow you to choose which special effects footage would be used? TN: I chose the footage that would be used. 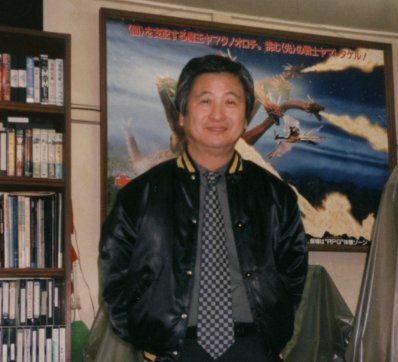 I would edit all of the special effects sequences, and then turn them over to Mr. Fukuda. DM: How was working with Mr. Honda on TERROR OF MECHAGODZILLA different from working with Mr. Fukuda? TN: Mr. Honda and I had known each other for a very long time, so it can be said that our friendship and mutual understanding were even greater than those between Mr. Fukuda and myself. DM: How did you get to know Mr. Honda? DM: Did you draw the storyboards for TERROR OF MECHAGODZILLA? TN: I drew the storyboards for all of the special effects sequences. DM: What was Mr. Tsuburaya like? TN: I have many stories to tell. We went on location to shoot the sequence showing King Kong battling an octopus in KING KONG VS. GODZILLA. After we finished shooting the sequence, Mr. Tsuburaya ate the octopus. Mr. Tsuburaya would become very preoccupied with his work. One day, while he was working on a movie, a woman came up to Mr. Tsuburaya, and he said, “It’s been quite a long time.” He couldn’t remember who the woman was. She was his wife. Mr. Tsuburaya was a man who very much enjoyed making films. He also was very neat. He always would wear a suit and tie to work. The studio was quite sacred to Mr. Tsuburaya. DM: How were Mr. Tsuburaya and Mr. Honda different from each other? TN: They both enjoyed making movies. They both also took their work very seriously, no matter what type of film on which they were working. So, I think they were more alike than different. Mr. Honda and Mr. Tsuburaya would inspire each other. They would create scenes that were not included in the scripts. Mr. Fukuda and I had the same kind of relationship. We also created scenes that were not in the scripts. DM: Mr. Honda would tell actors with whom he was working how they should walk, how they should move their arms, and so on. Did Mr. Tsuburaya do that as well? TN: Mr. Tsuburaya was very shy. He was just the opposite of Mr. Honda in that regard. Mr. Honda choreographed the movements of the aliens in THE MYSTERIANS (1957) and GODZILLA VS. MONSTER ZERO. He also choreographed some of the dancing of the natives in KING KONG VS. GODZILLA and GODZILLA VS. MOTHRA. TN: You’d have to ask Mr. Arikawa. However, I know that he wanted to be a producer instead of a director. DM: FRANKENSTEIN CONQUERS THE WORLD originally was going to be called FRANKENSTEIN VS. GODZILLA. Why was Godzilla replaced with Baragon? TN: I know that the script was revised several times, but I don’t know why Baragon was pitted against Frankenstein. DM: GODZILLA VS. THE SEA MONSTER originally was titled KING KONG VS. EBIRAH. Why was King Kong replaced with Godzilla? TN: I don’t know. Godzilla was in the first draft of script that I saw. DM: Were all of the other monsters in the film originally going to be in it? TN: I don’t know why it wasn’t made. TN: After TERROR OF MECHAGODZILLA was released, many Toho employees thought that there would be no more Godzilla movies made. However, some thought that there could be another one made if it were very different. So, several such films were planned. DM: In what year did you begin working for Toho? DM: What is the name of the war movie? TN: SUBMARINE I-57 DOES NOT SURRENDER. TN: We were shooting footage not only for a small screen instead of a large one, but also for a standard size one instead of a wide one. That was the most significant difference. I think the best screen size for monster movies is standard size. Giant monsters seem to be huge not because they appear to be so wide, but instead because they appear to be so tall. DM: Were you more rushed when you worked on METEOR MAN ZONE than you were when you worked on films? TN: The schedule was very tight. DM: Many years ago, Greg Shoemaker wrote in the JAPANESE FANTASY FILM JOURNAL, “Teruyoshi Nakano…is at his best when required to deliver animated rays and force fields and spectacular pyrotechnics.” Do you agree with Mr. Shoemaker’s statement? TN: Many Japanese fans feel the same way. I think of monster movies as fantasy films. So, I think that animated rays and explosions are very important elements in them. I always would take great care in preparing the pyrotechnics. Fire, like water, is one of the most difficult elements to control. DM: Which of the movies on which you served as special effects director are your favorites? DM: Which of the Godzilla movies on which you served as special effects director is your favorite? TN: GODZILLA 1985. I also especially like GODZILLA VS. MECHAGODZILLA. It turned out the way I’d imagined it would before shooting began. DM: Which of Toho’s earlier science fiction films are your favorites? TN: I was most influenced by KING KONG VS. GODZILLA. It is the first monster movie on which I worked. TN: Mr. Kawakita’s style most likely stems from his personality. He is very technically oriented. His approach is very different from mine. DM: What do you think of the Gamera films? TN: If I were assigned to the Gamera film, I would have to work very hard because I would have to find a new approach to take. I would have to work even harder on the new Gamera movie than I would on one of the new Godzilla films because it would be so difficult to find a new approach. DM: I have heard that you take part in the creation of rides for theme parks. Is this correct? TN: I have worked on a large number of them. DM: Are you still employed by Toho? TN: I still work for Toho. DM: So you just switched from working on movies to working on rides for theme parks? TN: I received a lot of offers to work on rides for theme parks, but I never quit my job as a special effects director. I think that theme parks provide the best means of entertaining people these days. I would have liked to have met Walt Disney. I would have asked him why he chose to work on theme parks instead of films. I think that he would have come up with a better answer than I could. DM: On which rides have you worked? I took part in the production of the rides at Space World in Kyushu. It took us four years to plan and build those rides. I also took part in the production of the rides at a water park in Kyushu. DM: Mr. Shibata told me that you are going to travel to Hokkaido tomorrow to work on a ride. Is this correct? DM: What is the ride going to be like? TN: It will be about Earth. Volcanos, climate, people – everything will be included. DM: Some people were disappointed by JURASSIC PARK because they felt that the plot was too limited. Do you agree with this criticism? TN: Yes. I agree with it. TN: I am pleased because a new approach will be taken. DM: Will Toho continue to make Godzilla movies if TriStar makes a series of them? 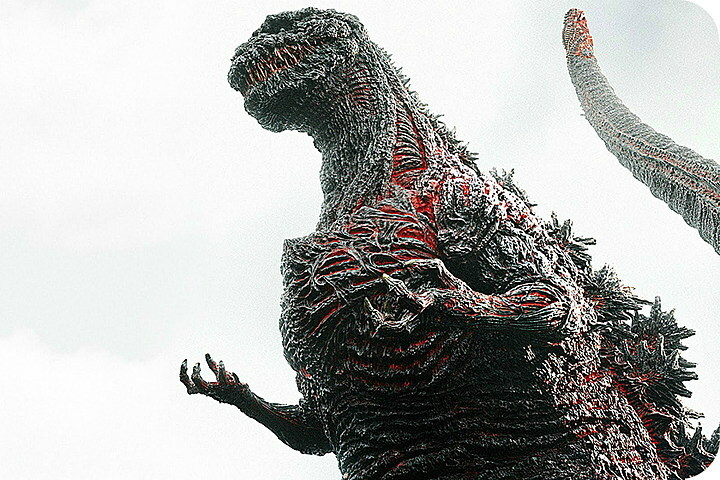 DM: What do you think the next few Godzilla films that Toho produces should be like? TN: Toho must take a different approach. It will be very difficult.